Rehabilitation and transit camp (Arbeitseinsatz and Durchgangslager). 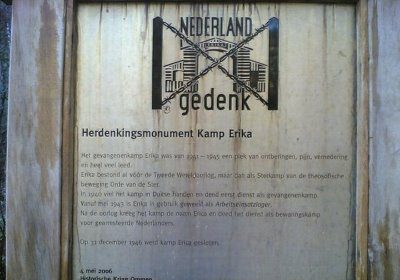 Internment camp for collaborators (mainly members of the Dutch NSB). In June 1942, Ommen was established as a penal camp. On 19 June 1942, the first prisoners arrived at the camp. The majority of the camp internees consisted of convicts and economical delinquents. In this Justizlager, the internees were forced to perform heavy labour. They were regularly exposed to teasing, beatings, intimidation and even murder. After the discovery of these cruelties, the Justizlager ceased to exist. 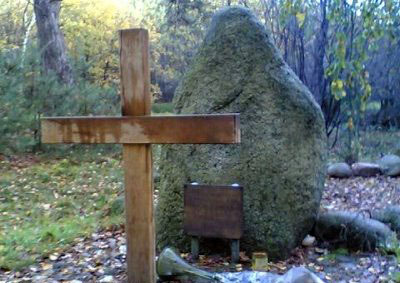 Between June 1942 and May 1943, 170 to 200 internees were killed in camp Ommen. Subsequently, camp Ommen was transformed to a rehabilitation and transit camp. Between 1943 and 1944, people who applied for labour in Germany, absconders and anti-socialists were housed at Ommen. During this period, the molestation rate was very low, nevertheless were the life conditions bad enough that some internees perished. In the fall of 1944, camp Ommen regain the function as penal camp. The cruelties and killings increased again. On 11 April 1945 the camp was liberated. Shortly after the liberation, camp Ommen was used as internment camp for Dutch collaborators. This internment camp existed until 31 December 1946. Nowadays, a camping site is located on the former camp terrain. 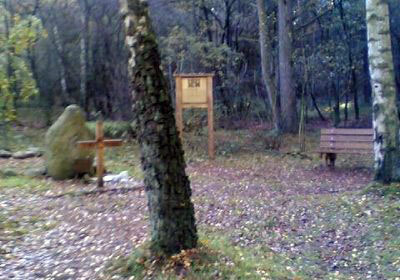 A simple small wooden cross in memory to the victims and survivors of Camp Ommen is placed in the nearby forest.